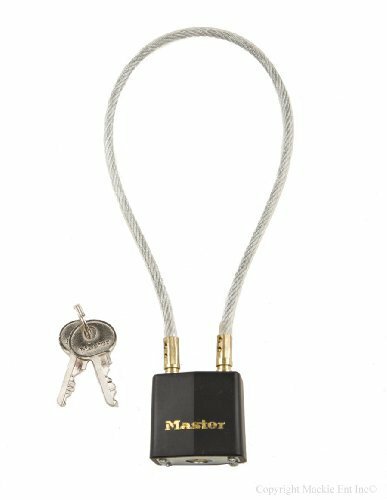 A similar cable lock keyed alike is available with a length of 3 ft.. Please search: #719KA. 14" (35 cm) long vinyl covered cable with a 5mm cable diameter. 4-pin tumbler security. Attractive plastic lock cover prevents scratching the helmet. Dead-locking mechanism to prevent rapping the lock open.